Greetings from beautiful autumn in New York. OutRight usually creates a quarterly UN New Yorker, but so much has been happening here that we have decided to give you our annual United Nations General Assembly (UNGA) edition in two parts: one now and one in late December. The UNGA session offers insight into the global temperature on human rights, sustainable development and multilateral relationships. As always, OutRight’s focus is on violence prevention, but we also vigilantly monitor any attacks on existing human rights protections for LGBTI people. For example, many of you may have read alarming news about growing attacks on the language of gender, family, and sexual and reproductive health and rights at the UN in New York. OutRight has been working with other civil society organizations as well as colleagues at the various UN Missions to protect inclusive language as the process continues to unfold. In this edition, we will provide a brief overview of the session so far including updates on the UNGA Report by the Independent Expert on protection against violence and discrimination based on sexual orientation and gender identity (SOGI IE) and the resolution on Extrajudicial summary and arbitrary executions (EJEs). Despite concerning global developments, we have had welcomed some rays of hope and moments of progress over the past few months at UN headquarters. The OutRight UN Program is producing more tools to help you connect with the international system at UN headquarters. 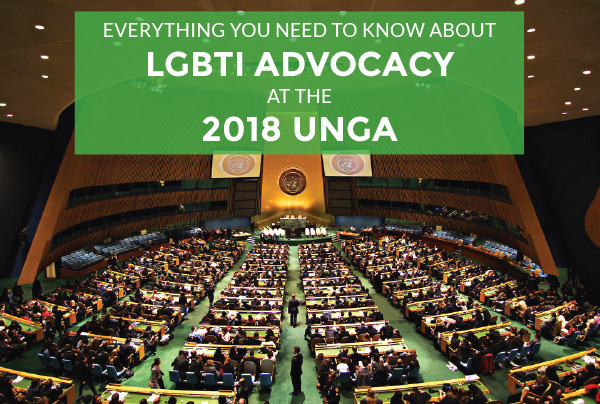 In late September, we released our new guide, Everything You Need to Know about LGBTI Advocacy at the 2018 UNGA. The guide provides an overview of the UNGA as well as what is in focus for this years session. 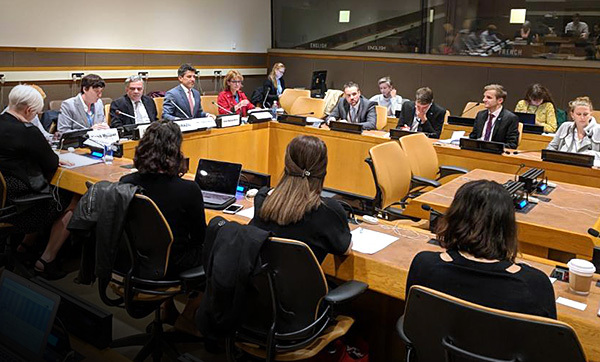 On September 26th during UNGA Leaders Week, OutRight and the UN LGBTI Core Group hosted a historic 6th annual LGBTI Human Rights side event at UN Headquarters. The event focused on raising awareness and ending violence against LGBTI individuals and welcomed keynote speeches and remarks by the UN High Commissioner on Human Rights, the UN Secretary General, Heads of State, and special representatives from 12 countries. Additionally the audience heard from Ugandan activist Kasha Nabagesera; photographer Robin Hammond; and the Special Rapporteur on extrajudicial, summary or arbitrary executions Agnes Callamard. OutRight executive director Jessica Stern moderated. Over 500 people RSVP’d for the event and over 30 states attended, making this the largest high-level side event to-date. OutRight’s highlights of the event can be found here. 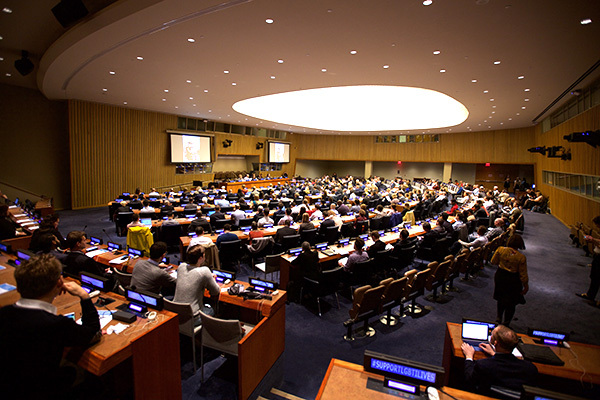 OutRight’s UN Fellowship Program continues engagement with the UN headquarters system. This session UN Fellow and Caribbean Program Officer Neish McLean presented during a formal session on October 24th hosted by UN Women and the UN Feminist Network titled “Gender Beyond the Binary: Trans and Gender Non-Conforming Rights and Activism.” The discussion specifically highlighted issues facing transgender and gender non-conforming (TGNC) people and the ways the UN system can better support TGNC human rights defenders. The applications for the 2019 OutRight United Nations Religious Fellowship program is now open. To learn more about the fellowship and how to apply, please visit our website here. 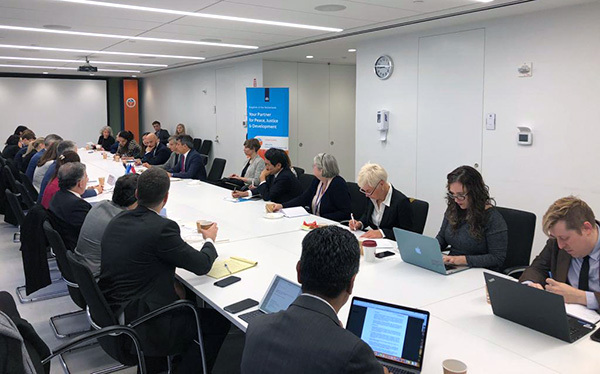 OutRight continues to expand its reach into processes on peace and security at the Security Council in the areas of international humanitarian and international criminal law. Recently we became the first LGBTI organization to join the Women Peace and Security (WPS) NGO working group, where we are now an active member. The week of October 22nd was UN WPS Week in New York. WPS week was created in 2016 and is dedicated to furthering discussions at the UN about sexual and gender based violence in conflict and what actions governments must take to make to protect their citizens in such circumstances. For more information on WPS week please see HERE. Every year UN Special Procedures (SPs), or independent human rights experts with mandates to report and advise on human rights, come into New York to deliver reports to the UNGA on thematic and country-specific topics. 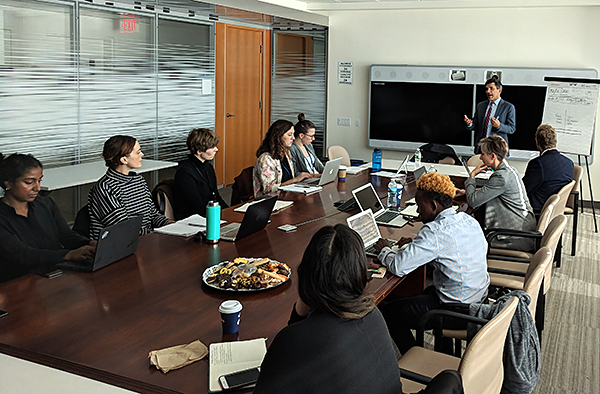 This year we welcomed Victor Madrigal-Borloz, the Independent Expert on sexual orientation and gender identity (SOGI IE), for his first report and the mandate’s second report to the UNGA. 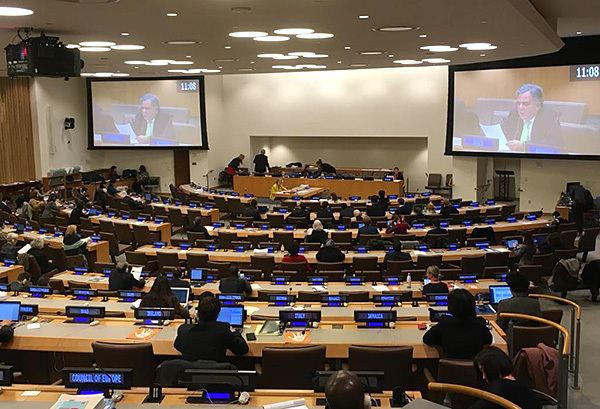 OutRight worked with other New York-based NGOs to convene civil society briefings, organize side events, and engage and monitor UN member States in the interactive dialogue at the UNGA. On Monday October 22nd, OutRight along with the International Service for Human Rights organized a civil society briefing between civil society representatives and three UN Human Rights Special Procedures - the SOGI IE, the Special Rapporteur on the situation of human rights defenders, and the Special Rapporteur on Extrajudicial, summary and arbitrary executions. This dialogue provided stakeholders the opportunity to help bridge the gap between the work of the mandates at the UN in Geneva and the work being done by New York-based civil society. On Wednesday October 24th, along with the UN Office of the High Commissioner for Human Rights, OutRight organized a civil society briefing between the SOGI IE and civil society representatives engaged in protecting and promoting the human rights of LGBTIQ individuals. The discussion included ways in which civil society members can support the work of the SOGI IE. 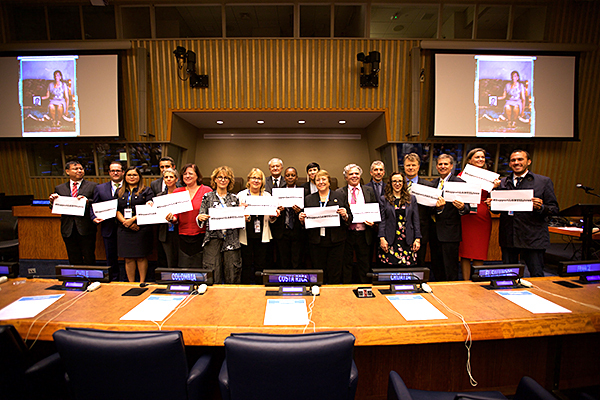 On October 23rd, OutRight, MADRE, and the Permanent Missions of Brazil and Argentina hosted an event at the United Nations titled, "When Saving Lives is a Crime." This event focused on the way in which service providers have been criminalized and targeted by the states, resulting in lack of access to life-saving services by vulnerable communities including women and LGBTIQ individuals. The panelists included OutRight Caribbean Program Officer Neish McLean; Ambassador Frederico Meyers of Brazil; Victor Madrigal-Borloz the SOGI IE; Agnes Callamard, UN Special Rapporteur on extrajudicial, summary or arbitrary executions; and Bergen Cooper, Director of Policy Research, Center for Health and Gender Equity. An overview of the event can be found here. On October 25th, ambassadors from the UN LGBTI Core Group met with the SOGI IE Victor Madrigal-Borloz to talk about progress and challenges to the SOGI IE mandate in preparation of the upcoming dialogue at the UNGA. 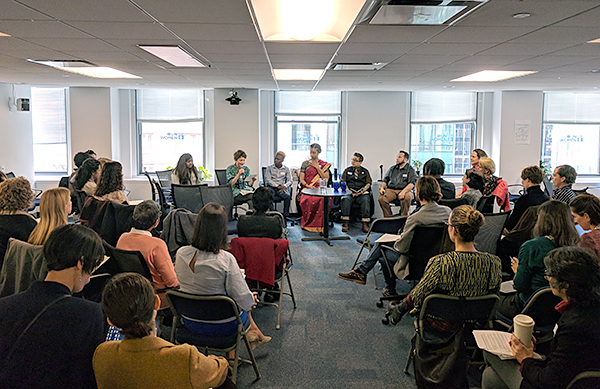 OutRight’s UN Program team helped organize this important dialogue and Executive Director Jessica Stern and UN Program Coordinator Siri May participated in the discussion. This year’s report examined the pathologization of certain forms of gender and the duty of the State to address violence and discrimination based on gender identity. The report came at a time when these issues are especially controversial and relevant at the UN and within the USA. The report can be viewed here and the live presentation can be viewed here. A surprisingly cross regional group of twenty-five States delivered statements in the interactive dialogue. Notably, the United States delivered one of the statements in support of the mandate of the SOGI IE. A full list of transcripts can be accessed here. 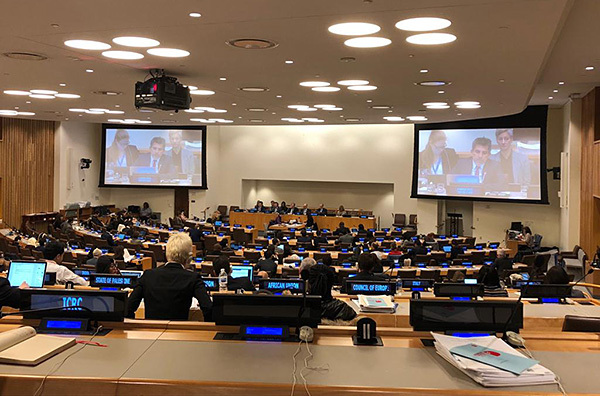 Early in the UNGA session OutRight worked with the UN LGBTI Core Group on the development of its second-ever statement in the general debate on human rights delivered on the afternoon of October 26th. The 24 States of the group participated in the drafting and delivering of the statement including Albania, Argentina, Australia, Brazil, Chile, Colombia, Costa Rica, Croatia, El Salvador, France Germany, Israel, Italy, Japan, Montenegro, Mexico, the Netherlands, New Zealand, Norway, Spain, the United Kingdom of Great Britain and Northern Ireland, the United States of America, Uruguay, and the European Union. You can watch and read it here. Generally, over a hundred resolutions on a broad range of human rights concerns are negotiated at the UNGA this time of year in New York. Until late November all of the negotiations remain in the ‘informal’ stage meaning that progress is often behind closed doors. During this time access to information and language for civil society is tenuous and can be sporadic. The resolutions of the Third Committee will be agreed and in some cases voted on by the end of the week of November 22nd. The formal Third Committee Sessions can be viewed live on UN Web TV. Considering the current climate, our priority this year is to monitor existing human rights protections in resolutions and try to safeguard the language that protects them. This year OutRight is also closely following several resolutions that have a central focus on violence, most importantly the resolution on extrajudicial, summary and arbitrary killings, which remains the only resolution at the UNGA which explicitly includes sexual orientation gender identity. We look forward to keeping you updated as the session progresses. We are also well into planning our annual week of UN Advocacy and look forward to sharing the project in the part two of our UN New Yorker UNGA.